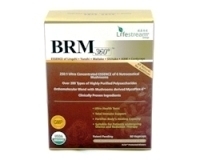 Hair Nourishment Formula. For a healthier & thicker hair. Sage (Salvia officinalis) helps hair growth. Strengthens hair roots. Kelp (Fucus vesiculosus) helps growth of hair. 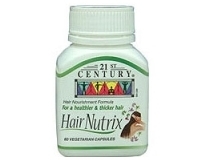 Contains minerals essential for hair growth. Rosemary (Rosmarinus officinalis) simulates hair follicles. Controls premature baldness. Oatstraw (Avena sativa) helps skin problems of the scalp that can cause hair loss. Fo Ti (Hydrocotyle asiaticaminor) a blood tonic and counter measure to the effects of ageing, such as loss of muscle tone and hair. Horsetail (Equisetum arvense) a high silica herb that helps rebuild hair, skin and nails. Olive oil strengthens hair roots and prevents scalp dryness that can cause hair loss. Take one capsule in the morning after breakfast and one more capsule at night after dinner. Or as prescribed by a physician. Contains: No sugar, starch, yeast, salt, artificial colours, artificial flavours or preservatives..